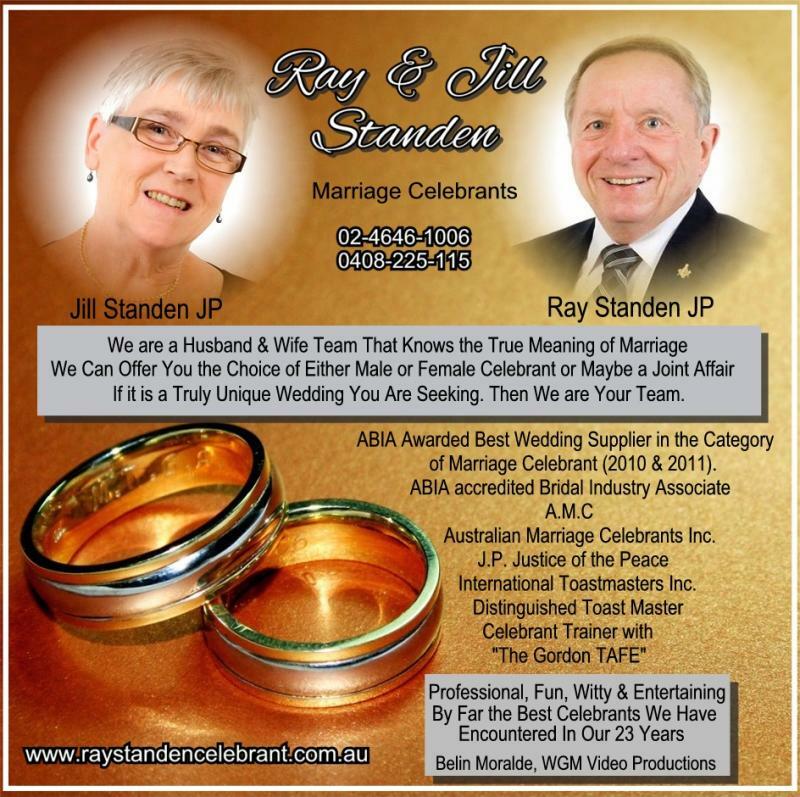 Ray Standen is a Professional Marriage Celebrant and has officiated at over 3000 ceremonies. 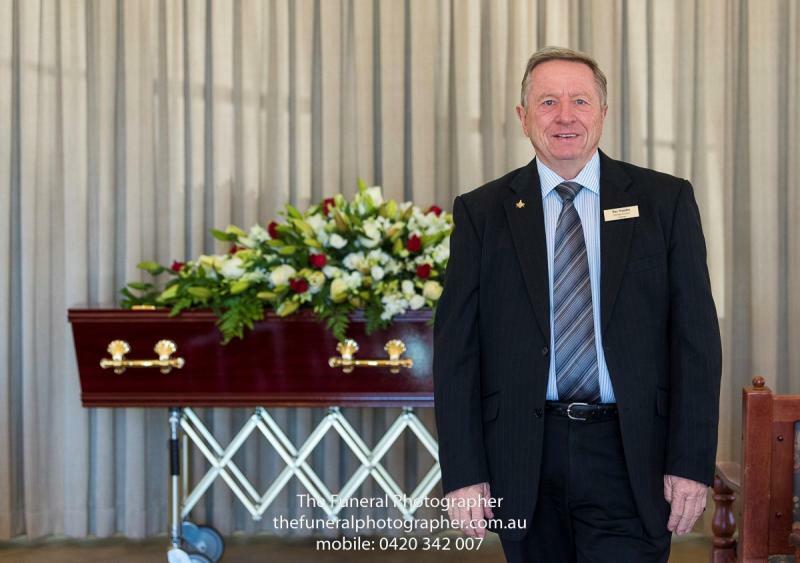 His experience is paired with a fine attention to detail and a passion for his work as a Celebrant. 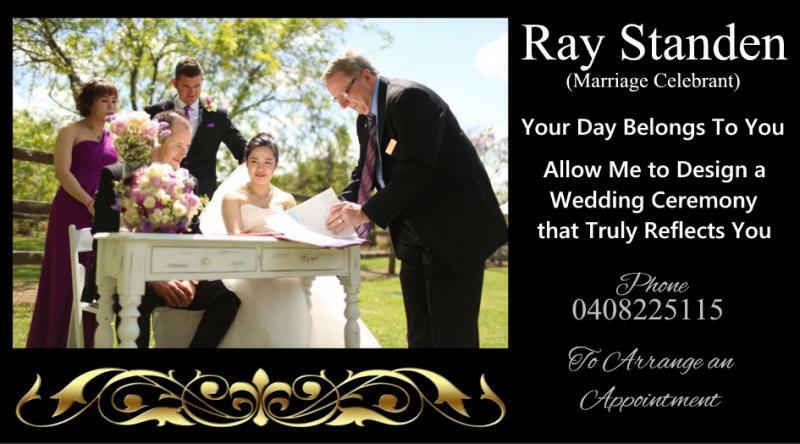 Ray is happy to spend the time you need to plan and customise the ceremony into the perfect day. His services include Wedding Ceremonies, Baby Naming, Renewal of Vows, Pagan Ceremonies, Commitment Ceremonies and Funerals. Rays also has a Master of Ceremonies and is available to host any function Private or Corporate. We will help create that very special ceremony and deliver it in the manner that befits your occasion. Formal or informal, big or small, with or without Religious content, plus just the right amount of humour to help relax and make your event truly memorable. 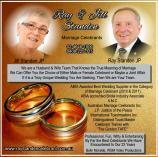 We are Jill and Ray Marriage celebrants giving you the choice of male or female celebrants. 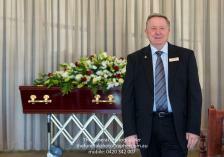 Plus we deliver our ceremonies to all NSW and the ACT. Contact us today and lets work together to help create that magical day where you can express your love in the way you want to. 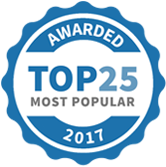 Ray Standen Celebrant Jp has been selected as one of our Most Popular Party and Event Services!